Here's a look at how the Nest Hello compares to the Ring Video Doorbell 2 and the RemoBell Video Doorbell with recommendations on which one is right for you. The Nest Hello was released in March, 2018. It has a number of first-to-market including the ability to pre-record messages that can be played when visitors are on your doorstep. Availability. Available beginning March, 2018 and can be purchased on Nest.com. Average Amazon customer review. Not yet available. Data security. 128-bit encryption with optional two-step authentication. Because the Nest Hello isn't yet on the market, there isn't currently existing footage home owners and Nest Hello owners have captured and posted online. We'll update this review with footage of the Nest Hello in action when it starts showing up online, but for now, here's a look at a review The Verge did on a beta version of the Nest Hello. The Ring Video Doorbell 2 is wi-fi enabled, and is unique in several ways including the fact that it doesn't require a hard wired doorbell setup to work. It's battery powered and may be easier to install than its wired counterparts. Video resolution. HD 1080P video. Average Amazon customer review. 4.1 out of 5 stars. Amazon's Choice. Data security. No specs provided. The ring captures video in a widescreen 16:9 format. The resolution can go as high as HD 1080P although most of the video we've seen online is 720p. Still, when comparing the clear, colorful footage captured by the Ring 2 with much more expensive industrial cameras in gas stations and banks, it's impressive how much better quality Ring's video footage is. In addition to the wide 16:9 video format, the Ring lens is very wide angle and effectively captures the area around the door including visitors who walk up door steps. Below is one video captured by a home owner with a Ring Video Doorbell 2. The footage also is easy to hear with the built-in high quality microphone. One final benefit of the Ring Video Doorbell 2 is its built in speaker which allows users to remotely speak with individuals on their porch in real time. We've share examples like this where a package owner is able to speak with a potential porch pirate using their Ring 2 and ask them to leave, avoiding package theft. 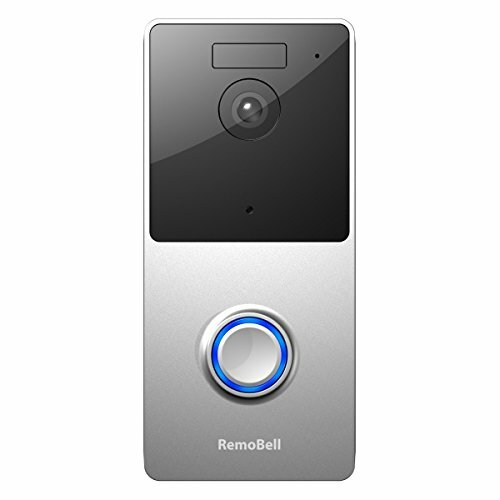 The RemoBell is arguably the least well know video doorbell in our comparison. It either matches or comes close to matching many of the Ring and Nest doorbell camera specs, and does so for a cheaper price. Here's more on the RemoBell. The RemoBell doorbell is physically larger than the Ring and Nest cameras. In some ways, this larger size can be a more effective deterrent than the small and sleek Ring Video Doorbell 2. There are dozens and dozens or videos of porch pirates who don't seem to notice the Ring before taking packages; we think it would likely be harder to not see the RemoBell. The RemoBell is also the cheapest option among the doorbell cameras included in this review, yet it is tied with the Ring for its Amazon average review of 4.1 out of 5 stars. Below is a video that nicely illustrates how the RemoBell works with its app. The video also includes footage directly from the RemoBell. The footage is relatively clear, though its top resolution is lower than its two listed counterparts. Should I buy a Nest, Ring, or RemoBell doorbell camera? All three of these cameras have great features, so it depends. If you are looking for the best price while still getting a camera that completes the basic functions of an effective doorbell camera, RemoBell is an option worth considering. If you're interested in some of the exclusive features of the Nest's camera like the pre-recorded responses to guests, and if you are okay waiting until February, 2018, to receive your camera, the Nest Hello would be a great option for you. 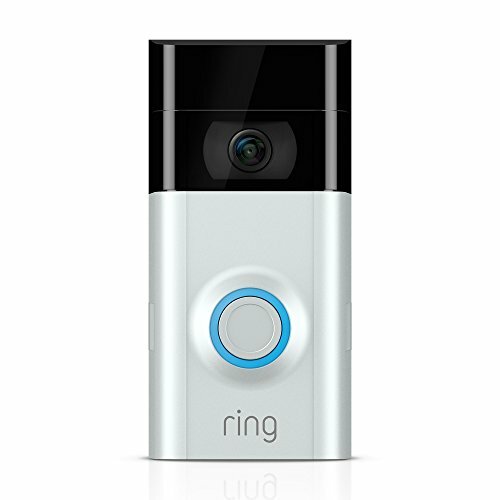 If you want to go with an option that is currently working really well for tens of thousands of homes and apartments where it is recording high quality video of visitors, guests, and even scaring porch pirates away, then the Ring Video Doorbell 2 is an option well worth considering.